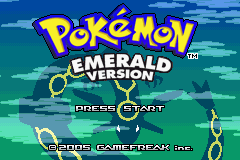 This is a significantly more challenging hack of Pokémon Emerald, where the player can obtain all 386 Pokémon in the Third Generation. Certain areas have been redesigned, to keep with the Kaizo theme. Keep a particular eye out on changing bike types. Once you cross an area obstacle with a certain bike type, it is very likely that there will be another that requires the other bike, and vice versa. Most of the changes are trainer battles, and trainer placements. Sets are all changed, and there are many avoidable overworld double battles, but some may be unavoidable. 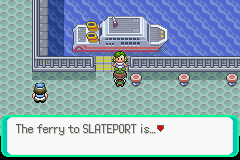 Gyms follow specific themes, and have different trainers than the original. The Victory Road will be the toughest Victory Road of all the Kaizo Hacks. Pokémon Battles do not allow the use of any item, except for held items. This is where the difficulty of the game comes from, so make sure you heal yourself before any battle, or else you cannot heal. There are some small liberties taken in regards to certain story elements, one will fight more encounters with Team Magma and Team Aqua for instance. Magma Admin Courtney, not found in the original, can be fought in this version, for example. Postgame is heavily changed up. 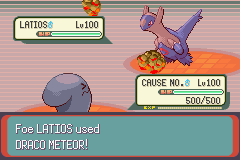 You fight gym leader rematches at their full power, right off the bat. Starting with singles, then moving on to doubles. To get Rayquaza, the player has to complete Trick House, which involves going through various Kaizo Challenges. However, it opens up only after the Champion is defeated. 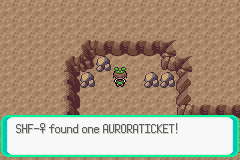 There are areas in the game that can only be accessed once one beat the game, which can house a Legendary Pokémon, or some Pokémon that you can only get once you beat the game. This includes event items, so be sure to check for obscure areas in the game, because that is where those items are located. Then you can head to Lilycove and travel to the mysterious destinations. The game is extremely challenging, but very fun, as the level curves are still steady, and you will be tested by various boss fights. Certain areas in the game are going to be incredibly brutal, and some will be rather grueling. This is not a hack for the faint of heart. It is much more difficult than every third gen hard mode hack. With all of that, enjoy yourself, and good luck!